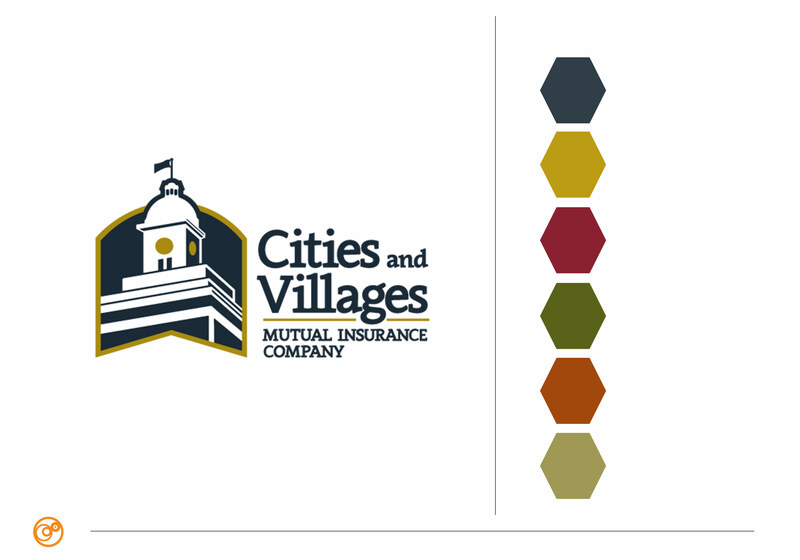 Ocreative was chosen to develop a new logo and branding, including new brand colors, icons, and imagery for Cities and Villages Mutual Insurance Company (CVMIC). Clients and staff responded well to the new look and brand identity. We explored the company’s audience and its personality and identified its key messages. Upon discussion of our findings with the internal committee, we concluded that the full name of the organization, Cities and Villages Mutual Insurance Company, should be emphasized instead of solely focusing on its acronym CVMIC, which it had been using. With the expanded name and an audience of several municipalities, we further sought to reinforce the company’s purpose by incorporating city hall building imagery within a shield to symbolize protection and reliability. The brand colors are fresh and new as well. We used our certified color expert to develop a new brand palette we aptly named, Inspired Woodland. The Inspired Woodland hues took cues from the intricate colors found in leaves and foliage. Together, the colors create an intense mosaic of a classic blue-gray, a mellow golden russet, and a rich and robust claret red. Supporting those colors are accents of new beginnings in fir green, rustic orange, a balanced olive green, and a trusting blue turquoise. This palette strikes the cord of familiarity that can create comfort, friendliness, and approachability because nature inspired it. Once the brand identity and naming were completed, we began expanding the new look to business cards, letterhead, custom envelopes and, most recently, a folder and brochure to name a few. Cities and Villages Mutual Insurance Company (CVMIC) is a comprehensive insurance company that serves its Wisconsin municipalities clients. Their personal approach helps members utilize insurance products, human resources, safety training and risk management.